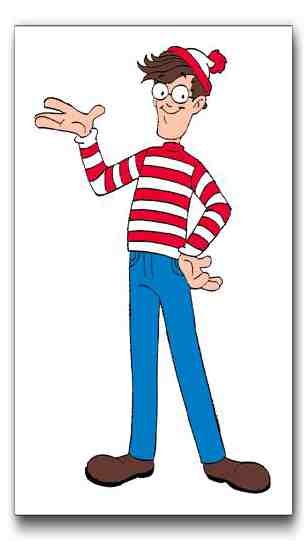 One of my teachers has a red and white striped shirt, which he wears about once every two weeks with jeans, that makes him look exactly like Waldo. I’m not even kidding. Every time I see him wearing the shirt I start laughing so hard and everyone else in the class just stares. He’s grown accustomed to it (and told me he anticipates it when he puts it on). The other day he told me that he put on the shirt specifically for me because it would make me laugh. Whenever I walk into math class and he’s wearing the shirt my eyes light up. That shirt always cheers me up. I asked him today if during the exam he could refrain from wearing the shirt because I wouldn’t be able to concentrate. He said he wouldn’t wear it. Yay! I have decided though on an amazing present for the holidays for him: a Santa hat. I mean, that’s the only thing he’s missing so that he’ll look exactly like Waldo. I made a red and white (strawberry coconut panna cotta) to represent the red and white stripes on Waldo’s shirt. 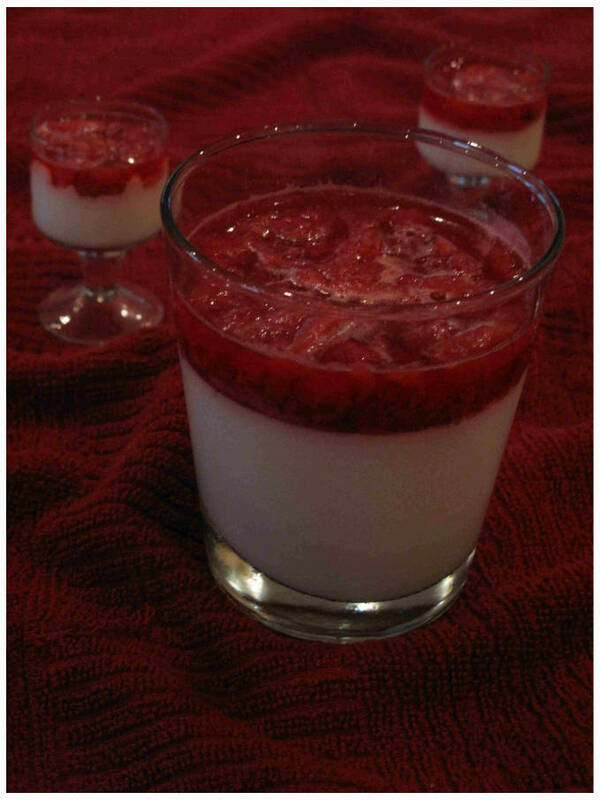 Italian coconut flavoured panna cotta with strawberries. Pour one tablespoon of the cream into a small bowl and sprinkle the gelatin evenly over the cream. Bring the rest of the cream, coconut milk, sugar, vanilla, and rum to simmer on medium high heat. Once the sugar is dissolved, stir in the gelatin mixture and let it cool for a few minutes. 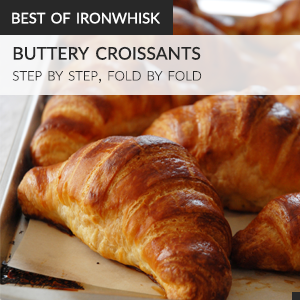 Then, pour it into cups/containers/ramekins and let sit in the fridge overnight. Dissolve the tablespoon of gelatin with one tablespoon of water (like you did for the coconut layer). Cook everything on medium-high heat except the gelatin mixture until the strawberries are soft. Stir in the gelatin and let cool for a few minutes. Pour onto the set coconut layer and let sit in the fridge overnight before digging in.